There's probably a way to sell devices that let you record a telephone conversation without any dark insinuations at all, but it'll take a better man than me. Accepts SIM cards to act as a 2G GSM phone with XLR3 inputs and output. 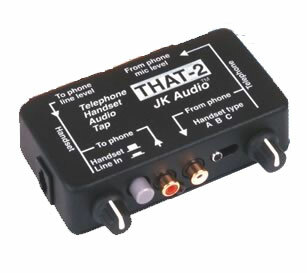 Accepts SIM card to act as a 2G GSM or 7kHz 3G (UMTS) phone with XLR3 inputs and output.